New Item! Expected to Ship 07-31-2019. A deep booming snare that offers warm tone and hand-built features. Because Pork Pie Percussion is best known for challenging the status quo, this snare drum was designed with innovation and style unlike anything available in the acoustic drum market today. This snare drum, like all other Pork Pie products is made with only the finest materials available today. This shell is 100% 6-ply birch, cross laminated for strength and tonal qualities. 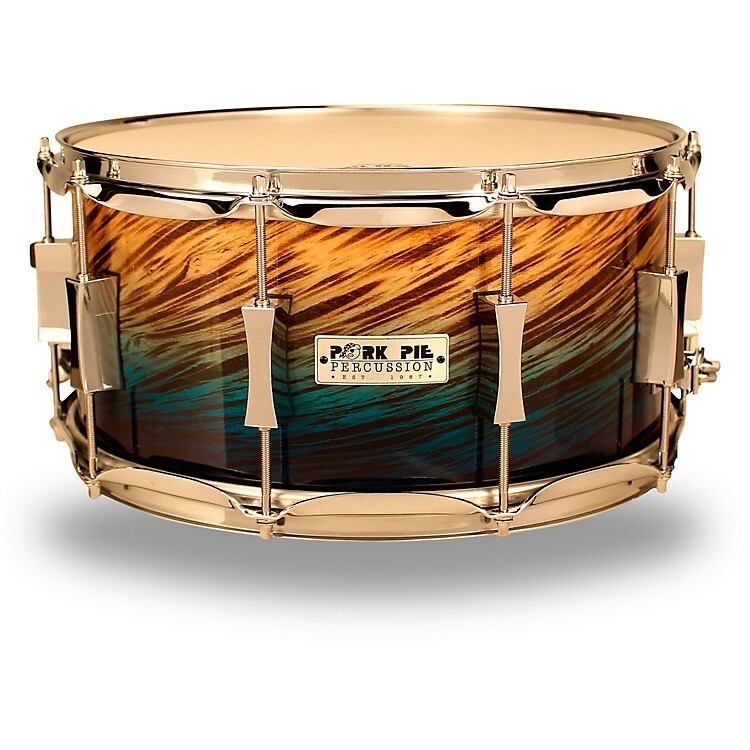 Pork Pie Percussion is known worldwide for hand cut, sanded and trued bearing edges and snare beds. This attention to detail give this snare drum amazing attack and sensitivity. The painted finish on this snare drum is called Blue Fade Dip. This finish is applied over the Birch shell in a way that makes every shell one of a kind. No two are alike. Once you play this drum, the sound and unique look will make you feel that this snare was made for you by hand at Pork Pie.